She never meant to fall for someone she can’t have. He never meant to let her. Bree Grayson lives a simple life in her small Tennessee hometown. She works as a maid with her mom and flags at the local motocross track on the weekends. It’s good money but it won’t get her out of Hopewell. She’s determined to make something of herself, but she’d settle for something—anything to get her out of this rut. Zach Pena’s notorious motocross fame crashed and burned as quickly as he had risen to the top. He let the fame get to his head and the partying and girls took over his life. Now he’s off the race team. Determined to get back into the sport he loves, he moves back home to spend the summer focusing solely on motocross. Girls are off the menu. And then he runs into Bree. She’s gorgeous and sweet and everything he shouldn’t have this summer. He doesn’t recognize her as the girl from his childhood, but Bree knows exactly who Zach is. She’s only had a crush on him forever. She knows he’s a womanizer and too hot for his own good, but he’s fun. Bree doesn’t expect to fall for someone she can’t have. And Zach doesn’t expect to be pulled back into his world of fame before the summer is over. Will Bree finally be the girl to tame his wild ways? Or will their romance crash and burn? Taming Zach is the first standalone book in The Team Loco Trilogy, a series of flirty, upper Young Adult contemporary romances. Contains steamy scenes, no cliffhanger, and a happily ever after. Aiden is supposed to be travelling the country with his professional motocross racing team. He isn’t supposed to break his wrist over summer and be benched for the whole fall season. He definitely isn’t supposed to find himself falling for a hometown girl who loves dirt bikes as much as he does. And when her boyfriend cheats on her, he probably shouldn’t agree to be her fake boyfriend just to piss him off. But Aiden has never been good at doing the right thing. Jenn’s relationship just fell apart. She thought she’d had it all: a hunky motocross racer boyfriend, an awesome job at her dad’s shop, and a promising career as a physical therapist on the horizon. Then it all falls apart, leaving her broken and hopeless. 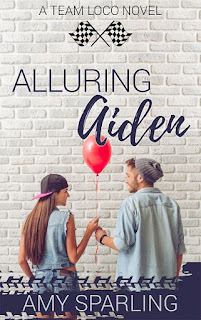 A fake relationship might get back at her ex, but there’s something in the way Aiden looks at her that doesn’t feel very fake at all. 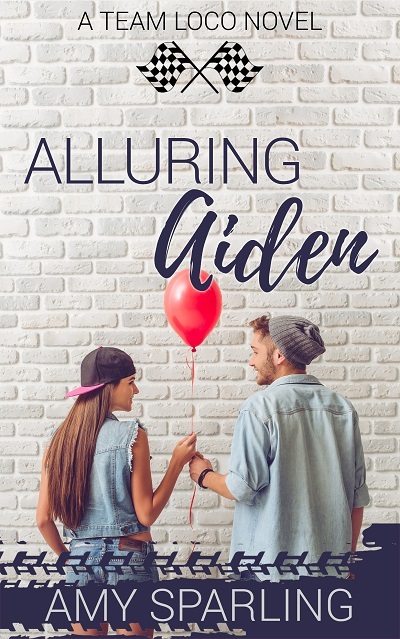 Alluring Aiden is the second standalone book in The Team Loco Trilogy, a series of flirty, upper Young Adult romances. Contains steamy scenes, no cliffhanger, and a happily ever after. Book 3 in the Team Loco Series is coming soon! Clay Summers has a reputation for being a jerk. He was one of the youngest teenagers to be signed to Team Loco, a professional motocross racing team, and he knows it’s because of his dedication to the sport. Clay doesn’t have time for friends, family, or girlfriends. Autographs and publicity stunts annoy him to no end. All he wants to do is ride his dirt bike. Avery Dunn just graduated high school and she has no idea what to do next. Tired of living in her small town, she dreams of traveling the world and getting paid to do it. So when the perfect internship with Team Loco comes around, she’ll do whatever it takes to keep her spot on the team so she can travel the country as they go to races each week. Team Loco is determined to have a family friendly image, and Avery’s number one job is to make Clay become a team player with their fans. If she doesn’t get him to sign autographs, takes pictures, and smile more, she’ll be out of a job. She’s spent enough time with Clay to know there’s a little softness underneath his intimidating exterior, and before she knows it, she’s starting to fall for him. Little does Avery know, Clay might be falling for her, too. 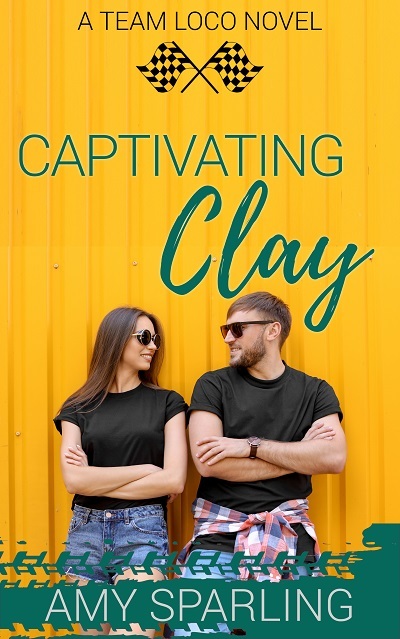 Captivating Clay is the third standalone book in The Team Loco Trilogy, a series of flirty, upper Young Adult romances. No cliffhanger and a happily ever after!